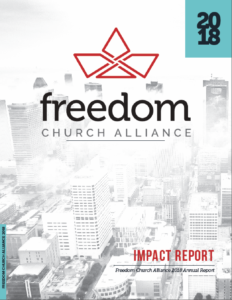 Freedom Church Alliance exists to engage The Church as a unified, collaborative Body to make a greater impact in the anti-human trafficking movement. Women, men and children are being funneled into the human trafficking trap. To redeem their lives, The Church is going to have to rise up as a unified and connected Body. Fragmented efforts are not enough. Many people feel passionate about fighting human trafficking, but don’t know where to start. With so much information and so many organizations out there, it’s easy to feel overwhelmed. What we need is a simple, yet effective way to take the next step forward. That’s why the Alliance has created the GoBox: a small but powerful anti-trafficking toolkit. Small steps of obedience often propel us into the bigger purposes of God. Watch this short video to learn how The GoBox will guide you through a process of educating, equipping and engagement so that you – and your church – can discover your God-given role in the anti-trafficking movement!  Why do we need an alliance of churches to fight human trafficking? With so many anti-trafficking organizations already in existence, what is the Church’s role in this issue? It’s easy to feel powerless and discouraged in the face of such evil. But we serve an awesome God who uses His people to bring hope and redemption to the world. Watch this video to listen to the Alliance Co-Founder and Executive Director, Leigh Kohler, talk about the heart behind the Alliance and why it was formed. Learn about why it is so crucial for The Church to stand shoulder to shoulder and unite to bring about an end to human trafficking. If we want to see human trafficking end, we have to address the root of the issue – the demand. City of Defenders is a holistic strategy of the Alliance created to address the issue of demand for human trafficking in and through the Church. Rather than being known as a marketplace for traffickers, we want to see our city become a place where every woman, man, and child is defended and treated with dignity and respect. In an age where nearly everyone knows a woman who has said #metoo, we need a culture change and we need the church to be leading that change. Watch this video to learn more about the various initiatives that make up the City of Defenders strategy.